🌟 Hello! I’m Emily Lupita. Thank you for reading my blog & joining me on my journey of art & discovery. 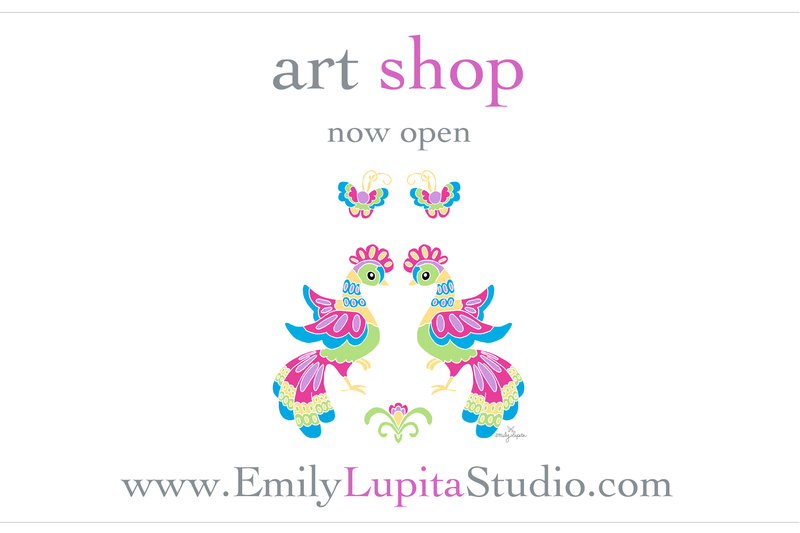 Emily Lupita is an award-winning artist & author working out of her home studio in the greater Atlanta area. She paints, writes & illustrates books, and designs jewelry from her unique & brightly-colored artwork. 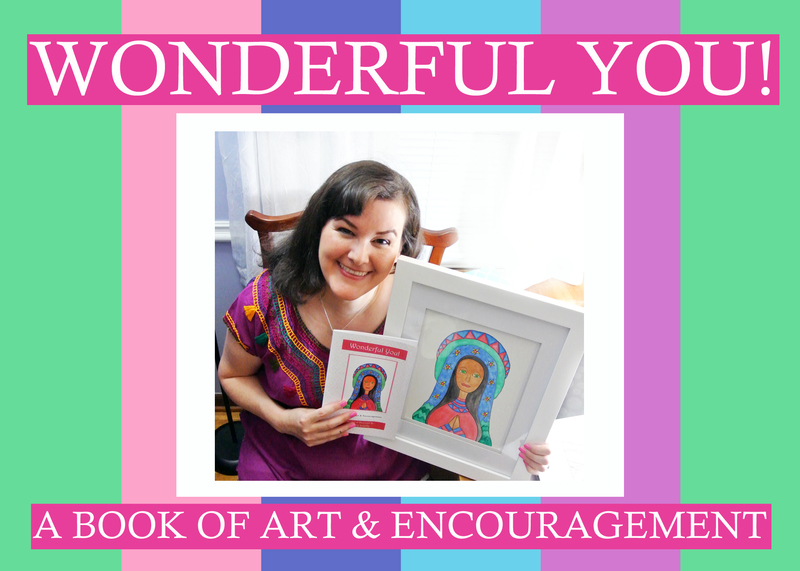 Emily Lupita’s books include “The Artist’s Alphabet: 26 Words to Encourage Creativity” and “Wonderful You: A Book of Art & Encouragement.” She is currently working on her next project – “Birds in Boots” – a bedtime book for children. Emily Lupita’s unique style is composed of vivid colors mixed with black ink lines. She uses ‘irodori’ Japanese watercolors and Sakura inks on Arches 140lb watercolor paper. Emily Lupita has shown her artwork & jewelry at hundreds of art shows & festivals around the United States. She currently has work available for purchase in her online Art Shop and at The Local Exchange in Marietta, Georgia, USA. Emily Lupita lives in the great Atlanta Metro area with her husband and their two sons, the Captain and Archer. She also has two long-haired miniature dachshunds who brighten every room they enter. Two great places to get to know Emily Lupita are on her blog and Facebook page. One of my favorite quotes with two of my newest paintings. I love stopping by my favorite shop on the Marietta Square. I got to sit for a moment with my paintings, pillow, and prints. 🌸💕🌸 And…saw my books! Yay! If you’re in the Atlanta area, be sure to check out The Local Exchange…such a magical place! Art prints & original painting are now available in my little online art shop.